Srixon's forged irons have long been known as some of the best looking, feeling, and performing in the business and the new Z 785 and Z 585 models are living proof. 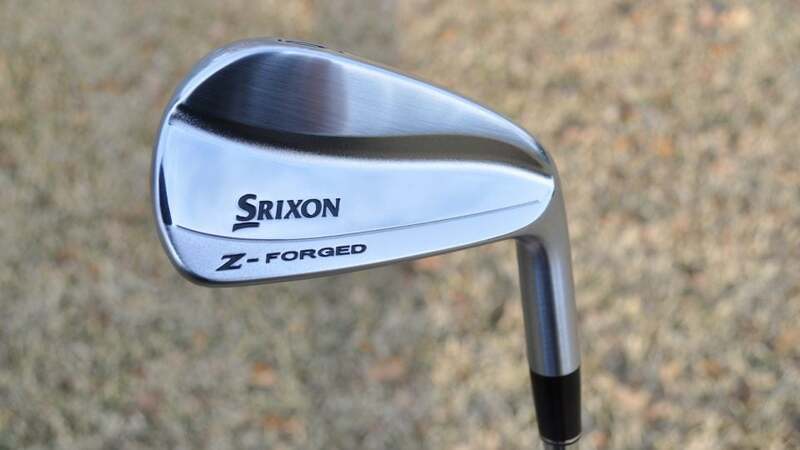 However, while the aforementioned irons combine varying amounts of forgiveness and distance-oriented technologies, there was still a small hole in the Srixon lineup where pure traditionalists and expert ballstrikers reside, until now. The fix is the new Z-Forged irons ($999.99/7-piece set), which are designed with thin toplines and soles, minimal offset, and a muscleback design that the very best players often prefer. Other features of the new Z-Forged irons include an updated Tour V.T. Sole for better turf interaction and versatility from a variety of lies and playing conditions, and clubheads forged form soft 1020 carbon steel, creating the exceptionally soft and responsive feel required to satisfy the most discerning tastes. Nippon Modus3 120 steel shafts and Golf Pride Tour Velvet 360 grips come standard. The Z-Forged irons will be available at retail in 3-PW on February 1st.